Going through a divorce is one of the worst situations you want to get yourself caught in, but no matter how you want to keep the fire burning between you and your better half, things seem like you are better off alone. Divorce is a product of emotional wounds that kept getting scratched every time, without healing, that time itself couldn’t suffice the pain you would go through for the rest of your lifetime. But there is more to divorce than being emotionally agonizing. It will hurt your family, your business, and your finances. It is going to be a tough and rough road ahead that you can only hope your family and finances will fair well with you as you go through life storm by storm. But how do you get yourself back up financially after getting divorced? Or how can you avoid being financially broke when getting divorced? If you find yourself stuck in the dilemma of settling for marriage for fear of financial failure or you fear your financial loss may cause your marriage to fail, then here are five things you want to know before you pull the anchor and sail away. Everything in marriage is shared by two persons wanting to live together. Marriage is not only about sharing the rest of your life, but ultimately sharing your experiences and your finances. Community property is what they call it, and it is a 50-50 type of division of all marital properties. Absolute community property applies to a few states, and the majority are equitable distribution states. If your marriage fails, chances are you will have to divide all of your businesses and properties. Although not necessarily a 50-50 division (depending on state policies), this applies even if your spouse didn’t have any significant role in growing the company or business. If you own a company long before you got married and you haven’t signed any prenup agreement for romantic reasons, you can still try to create a postnup agreement; however, judges can be very dubious about its sincerity. Nonetheless, if that doesn’t work either, you can arrange with your lawyer different ways of owning the business like paying your spouse monthly half the current value of your company, which can last for years depending on your capability. If you foresee divorce along the way and have your company assets like vehicles, buildings, equipment, and utilities loaned under a joint account, you can buy them out to make sure that you won’t hurt your business while you go through the process of legal separation. If your spouse works for the company, fire him or her before you start the divorce process. The significance of their contribution and capability in running the company can be an additional reason why the court would give him or her the ownership of the company, especially when you are found to be emotionally incapable, which can happen to almost everyone going through these rough times. Divorce will also affect your intellectual property rights if you own a patent or trademark for your company; the income coming from royalty needs to be equitably divided. Couples who collaboratively compose songs or novels can be subject to this situation. Intellectual property rights lawyers can help couples in identifying their boundaries when it comes to ownership, but it is the court that divides the proceeds equitably, considering that both invested money in the creation process. Divorce will divide everything that has a significant monetary value, and that includes your businesses. In marriage, you used to share the expenses like cost of living, your children’s schooling, your house and car mortgage, and whatnot, but when you divorce your spouse, you will carry the burden of all these alone. This is a shock to almost everyone. Although you may feel like you are financially better off alone, there will always be extra costs that will eat up your savings and salary. It is important that you remember to keep a good record of your individual finances like your credit score. The initial phase of adjustment after divorce can be very overwhelming because of unprecedented costs like child support, not to mention the costs of the lawyers, doctors, and other professionals you hired just to settle every single thing down. This can put on you in debt for a very long time if you are unprepared. As mentioned, your business will serve as a community property, so if you are on the point of divorce, you are more likely to pay the other party half the value of your business at the point of divorce if you don’t want to share the month-to-month earnings or to make your soon-to-be ex your business partner. Almost half of first marriages in the U.S. fail, which is why it is advised that you take significant preventive measures just in case your altar vows don’t last. Not everyone realizes this very obvious fact, but divorce can greatly affect your credit scores. If you are one of the troubled couples who fail to pay even just those simple phone plans you have together because you are too busy to deal with trifles, then you will most likely hurt your credit score because of this simple lapses. The thing is, you used to have things together as a bundle of some sort, and one agrees to pay this and that while the other this and that. If you are going to divorce your partner, you should be able to settle even the simple things first that can affect your credit history. 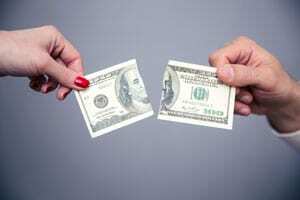 You should be able to sever the joint accounts first before you start the bloody divorce process. You will lessen the after effects of divorce if you are going to do this before everything else. Your businesses also have their credit history, so be sure to settle the ownership of the company, and as mentioned you can try to buy out your company equipment and resources to keep its credit history in good standing. Seldom do troubled couples think of selling their company because of its foreseen market value in 10 or more years, and if you are one of them, arrange with a lawyer the possible options you have before you officially start the divorce. Divorce will also affect your real estate properties. If you own property before you were married, it is automatically your exclusive property; however, your exclusive ownership can be void for some reasons. One is if you have made the property your house, office building, if you paid the taxes via joint account, or have sent its profit on a joint account. If any of these reasons apply then, you are highly likely to equitably divide the said assets. The house you both live in, for example, shall be considered a marital property and should be divided equitably. Some couples decide to sell the house but end up fighting over how they would divide the proceeds. If this is your option, you can hire a mediator or legal counsel to help both of you decide how much each of you should have, and the only downside is their resolution could be something both of you are unsatisfied about. If one of you doesn’t want to sell the house but continue to live in it instead, that person will lose ownership of other marital real estate properties that have almost the same market value as the house he or she chose to own, or he or she can buy out the other’s interest in the said property to make things fair to the other party. You will most likely be dividing all of your real estate properties, and that will make you suffer from selling stuff you didn’t want the other to own. Divorce can make you lose track of your savings. As you scramble through sheets and piles of paperwork, you will most likely be overwhelmed and neglect to track your finances. You might also be unaware that you are already spending more than your individual financial capacity, not to mention your emotional problems can also lead you to vices that can further harm your finances. Child custody is also one of the most stressful things about divorce. Aside from emotionally tearing your children down because of confusion, it also affects you financially. In fact, statistics states that over 50% of all single parents in the U.S. are either divorced, widowed, or separated. Becoming a single parent can be very difficult, and it is hard to rely on child support to fend your cost of living. Also, finding a job can also be very challenging for single parents since no one will take care of their kids or they can’t afford to pay daycare centers. The growing number of unemployed single parents have made them dependent on the government and worse, homeless. Aside from this, divorce will also affect your working behavior. Divorce often makes people neglect their jobs and turn to drugs or vices in worst cases. Some single parents choose to work instead of staying at home and may not be able to give time to their children. Divorce is either going to starve you and your children of love, time, or food. As mentioned, some divorced individuals find it difficult to get back on their feet, which may cause them to turn to drugs or other vices, lowering their standard of living and possibly making them homeless in the long run. Ultimately, when you are unprepared, even if you are one of the best entrepreneurs, divorce can trap you in poverty. Divorce can also affect your retirement plans, life insurance, your kids’ college education, 401k, bank accounts, tax refunds, pension plans, etc. Always remember that undertaking divorce can be extremely complicated and difficult, and the minimum costs for lawyers, divorce specialists, real estate specialists, child custody experts, etc. can be expensive. If you have kids, you will put their college education and future at risk because of these expenses. Always keep in mind your children’s welfare, because after all, they were one of the reasons you continued to stick together. Consider taking care of your finances first before going through the divorce process to lessen the financial shock on and after divorce. *This content is not meant to give any legal advice. Please consult a lawyer or legal specialist as a basis for your decision. This is only for the purpose of giving basic knowledge and information..
Vincent Spivey is a writer, blogger, and researcher. He is an active advocate of intellectual property rights, and he is helping young entrepreneurs and inventors worldwide protect their IP rights as one of the keys to their success. The Livingston and Loeffler Law Firm is helping him make this happen.